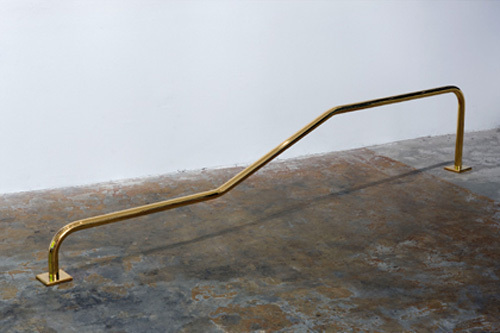 I came across two pieces by Andrew Lewicki that made me chuckle (and by chuckle I mean I didn’t make any audible noise whatsoever, but I pictured myself standing there in the gallery saying something like hey that’s pretty funny”). 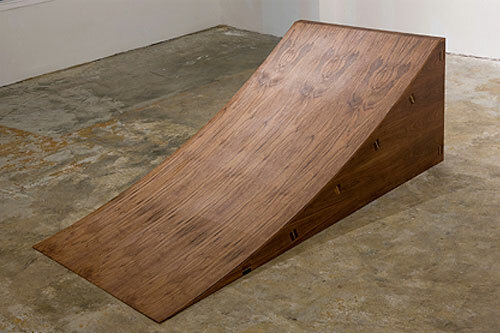 Gold-plated Skate Rail (shown below) and Walnut Skate Ramp (after the jump). Other works include buffing a legal wall at Venice Beach.